I love Autumn: the turning leaves (which we don’t get in Florida), the crackling fires (which we don’t need in Florida), and the cuddly-warm fashions (which we also don’t need in Florida, but I’m having at least one of these things dammit!) 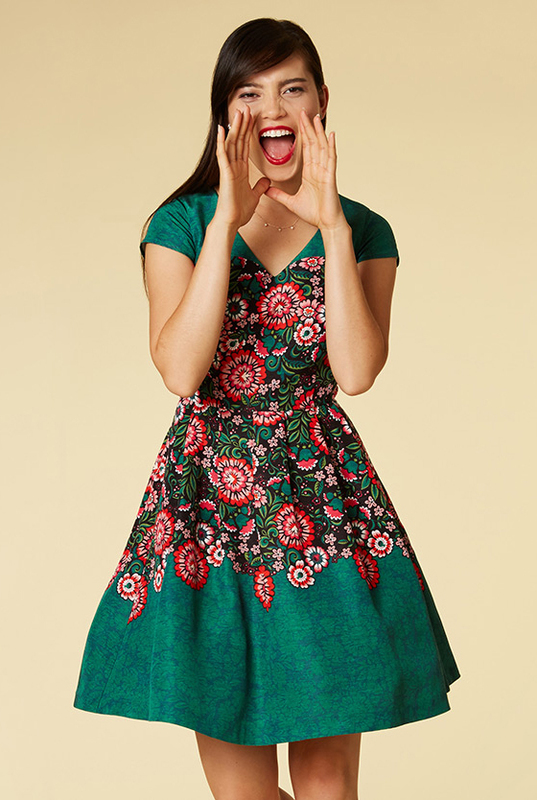 So I got really excited when I found a few great Autumn-fashion bargains. 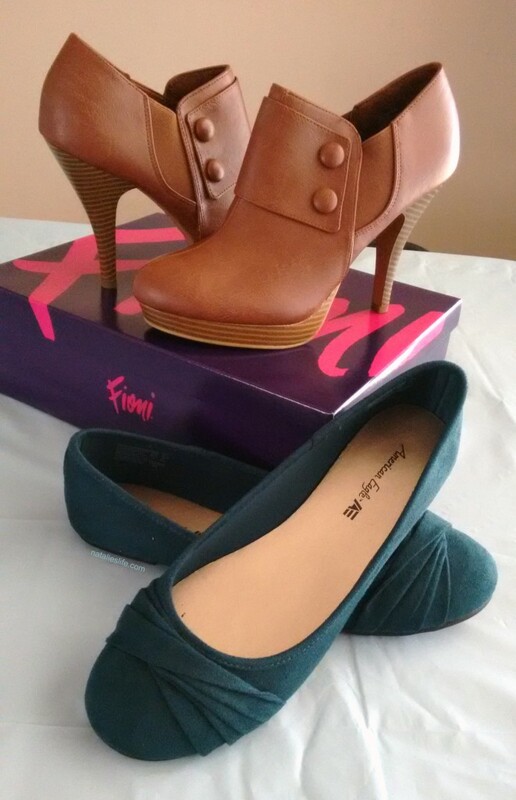 The boots were originally $49.99 and I got them for $21 – they’re so comfortable and I love them! The flats (how wonderful is that green?!) were originally $24.99 and I got them for $7! Happy Autumn, feet. 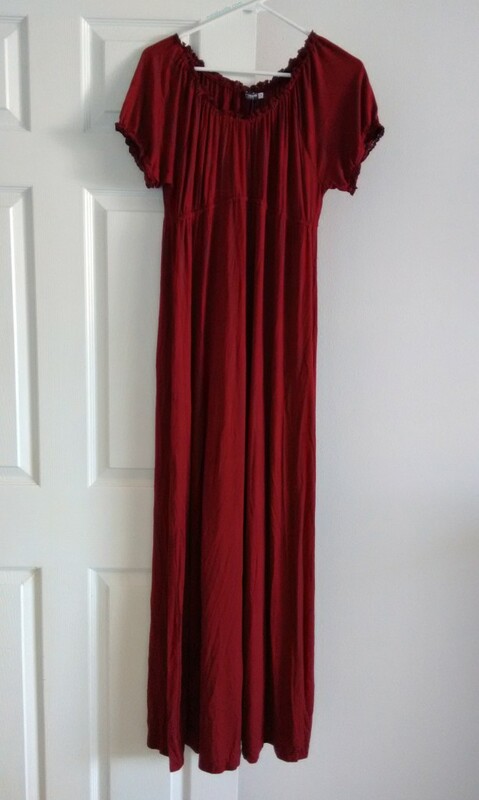 The photo doesn’t do it justice – it’s a luscious, deep red heavy fabric so it hangs really nicely. Also, I’m really tall and got way too excited that this was the perfect length for my height. And the perfect price. Not a bad haul for $42. I think teaming the dress and boots together will be one of the outfits I wear over Christmas, maybe even New Year with some sparkly jewelry. Have you found any great fashion bargains? I’d love to hear about them! I’m taking part in Favorite Fashion Friday – check out some other posts for more fashion inspiration. I purchased these items with my own money, and received no compensation for my honest opinion. Shopping for my Mom’s Mother-of-the-Bride outfit took more time and effort than looking for my wedding dress, I kid you not! lol! My best friend came with us on one of the trips and I turned to her and said “You take her, I’ve had enough!” lol but within 10 minutes she turned around and said “Take her back!”. Eventually she did find a great outfit, and it was even in the sale which was a great find! It fitted her perfectly and she looked really pretty 🙂 It was a light blue (hinted towards turquoise) dress with a flare at the edge of the skirt, short sleeves with a floaty bit around the shoulders, and a long sleeved jacket. We teamed it with a mink/taupe coloured hat, bag and strappy shoes. She was really happy and I’m glad we kept at it to find her the perfect outfit. But… Never again! lol!